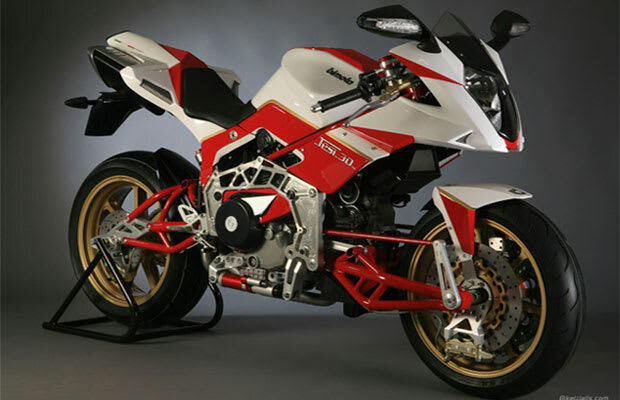 The Tesi makes MV Agustas look like Hondas; it appears to be half tubular steel and half billet aluminum. The hub-centered steering and pull-shock “fork” is the craziest part. It may not outperform a regular fork but it works well enough and helps the bike look more mechanical than anything save, perhaps, a skeletonized wristwatch. The Tesi’s Ducati Multistrada powerplant underlines the fact that its primary purpose is visual theatre, and that it delivers in spades.